Elements Applied: Seeds, rind, and fruit are commonly applied as food and in herbal medicine. Used For: The herb is known to induce urination and treat fevers. Watermelon is applied to treat symptoms experienced by people overexposed to sun heat. To relieve these signs, rind is particularly useful. The seeds are effectively applied to induce urination and relieve urinary infections. Preparation and Intake: The commonly used dose is from 9 to 30 grams. One or two cups of fresh watermelon juice would fit the treating purpose. 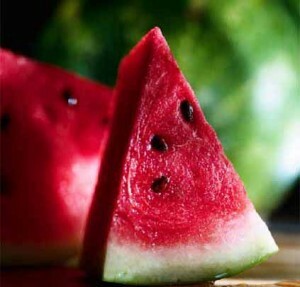 Safety: People, suffering from coldness or dampness, or both conditions, should not eat or take watermelon as medicine.